By Decision no. 2 of April 4, 2017, ANEVAR’s National Conference adopted the 2017 Assets Valuation Standards coming into force as of May 1st, 2017, which are binding for valuation activity undertaken in Romania. By means of consequence, the valuation standards adopted by the Association must form the foundation of any and all valuation/review reports, including reports for individual expertise which refers to the value of assets. 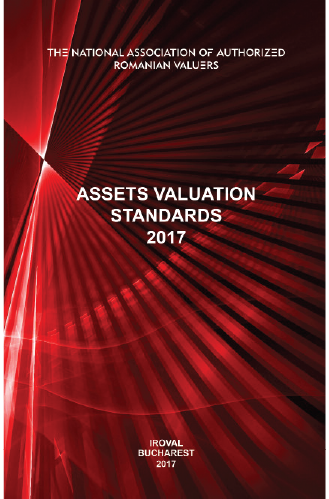 The 2017 Assets Valuation Standards are compliant with the 2013 edition of the International Valuation Standards (IVS) and also include four of the 2012 edition of European Valuation Standards (EVS). The result is therefore a complete collection, which, together with the Valuation Guidance Notes (GEVs), make up a complete collection, in perfect agreement with the Romanian realities in the field of asset valuation. prin ceea ce poţi lua din ea."